Nona Grey’s story reaches its shattering conclusion in the third instalment of Book of the Ancestor. THEY CAME AGAINST HER AS A CHILD. NOW THEY FACE THE WOMAN. The ice is advancing, the Corridor narrowing, and the empire is under siege from the Scithrowl in the east and the Durns in the west. Everywhere, the emperor’s armies are in retreat. Nona faces the final challenges that must be overcome if she is to become a full sister in the order of her choice. But it seems unlikely that Nona and her friends will have time to earn a nun’s habit before war is on their doorstep. Even a warrior like Nona cannot hope to turn the tide of war.The shiphearts offer strength that she might use to protect those she loves, but it’s a power that corrupts. A final battle is coming in which she will be torn between friends, unable to save them all. A battle in which her own demons will try to unmake her. A battle in which hearts will be broken, lovers lost, thrones burned. 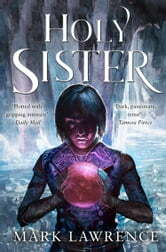 HOLY SISTER completes the Book of the Ancestor trilogy that began with RED SISTER and GREY SISTER. A ground-breaking series, it has established Mark Lawrence as one of the most exciting new voices in modern speculative fiction. A true grand master piece that even Tolkien would have loved!!! Wonderful ending to a wonderful trilogy. 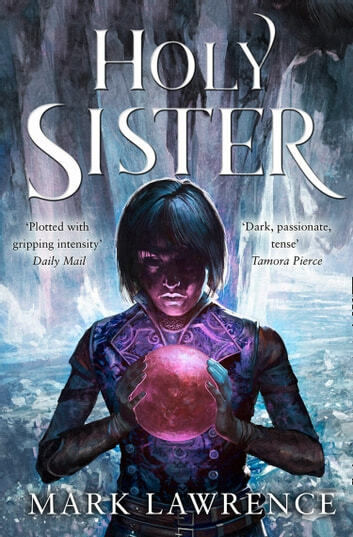 Having loved the previous two books, I had very high expectations for Holy Sister, and it didn't disappoint. Everything Mark Lawrence so carefully set up in the previous two volumes pays off in droves, as the book bridges the gap between the "present day" opening in Red Sister, and the past events chronicled throughout the previous two volumes. A great ending to a great series. Don't missunderstand me...I have read every book from mr lawrence. And the books are FANTASTIC. Even amazing! This time though, it feels like a long long waiting for something good to happen.